Campbell Kennedy, CEO of Locus Labs, explained that there was an opportunity for the company to extract information from pictures creating better maps. Formerly a DARPA Grand Challenge contestant, he was also a member of Google’s autonomous vehicle team. He compared the mapping process to that used by Google’s Street View system. 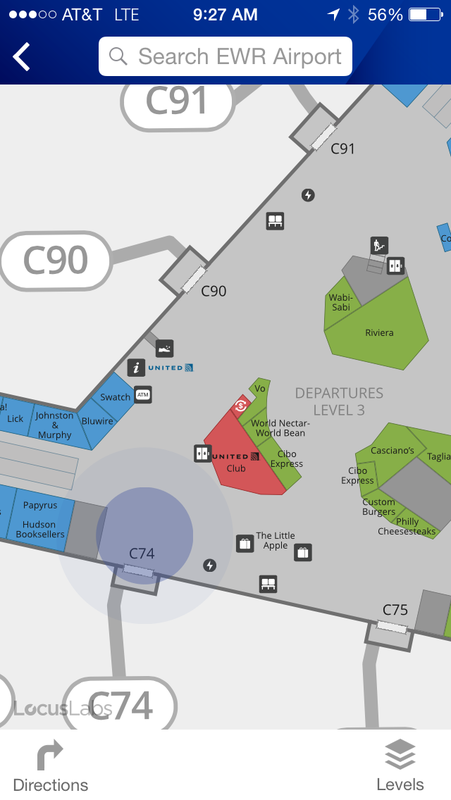 At present, the maps feature will be available in United’s seven domestic hubs. Images are captured using what Kennedy compared to a stroller-sized version of Google’s Street View cars, equipped with lasers, cameras, and inertial measuring units. Called a ‘reality capture system’ by Kennedy, the system helps solve the problem of collecting granular location data at scale. Campbell Kennedy (left) and Dan Landino (right) of Locus Labs next to a version of their map capture platform. While all of United’s hubs will benefit from this rudimentary mapping technology, United and Locus labs are working on a pilot program at United’s terminal at Newark Airport that uses beacon technology for more accurate positioning. “I like to think of it as not your father’s Bluetooth,” joked Faxas, addressing concerns about beacons draining battery life by comparing their usage to a ‘paired’ smartwatch or fitness band. 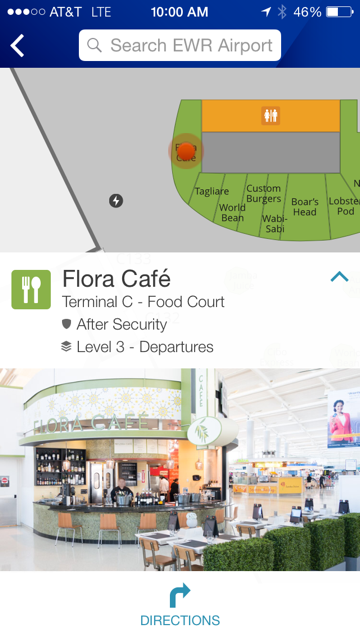 “I have beacons installed throughout one of the terminals at Newark Airport, and we use that to provide people with a ‘blue dot’ and location reference,” said Kennedy, who also noted that beacons would help create personalized experiences for different users. 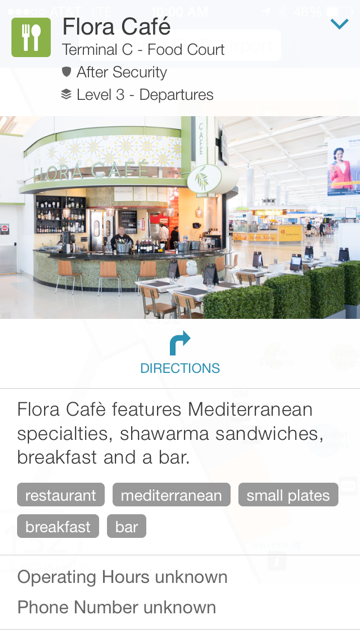 Beacon technology is being tested at United’s Newark terminal. “I might want to have a different message to a person, or a different experience or path, if they’re coming off a jet way into the airport or if they’re coming from off the street,” he added. The introduction of beacon technology raises issues of privacy and worries about United and Locus Labs using location data to track users and for contextual marketing. Jennifer Dohm, a spokeswoman for United, was quick to address these concerns. “Currently we are only using the beacons for their connection to the maps,” she said. “Our mission as a company is getting people from Point A to Point B, [so] we don’t necessarily have the need to track the customer. While United has no plans to track location data in this manner, Kennedy explained that the capability still exists. “To my knowledge, United is not necessarily doing that yet,” he assured. Faxas explained that United and Locus labs expect to see customers use mapping at airports differently than they would in other scenarios.